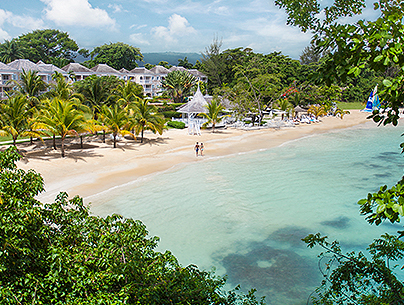 Located on 18 acres of the purest white sand in Jamaica, Couples Negril is a beachfront playground with every activity imaginable. From scuba to sailing, snorkeling to pool volleyball, the water adventures of Couples Negril know no bounds. 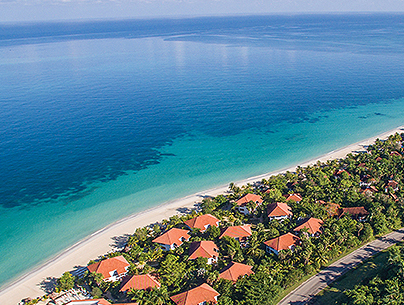 For land-lovers, complimentary tennis, unlimited golf, and a pristine fitness center beckon. Whether you’re paddle boarding or power walking, this sun-splashed tropical resort will never cease to amaze you. 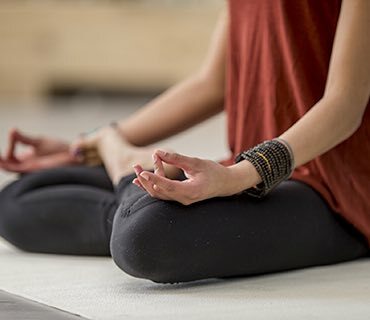 From massage to meditation, achieving balance and harmony has never been easier or more beautiful. Dive into a world of fun in, on and near the water. 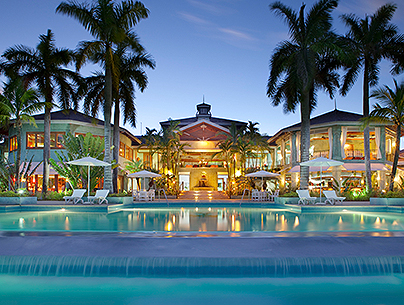 From pool volleyball to scuba and snorkeling, Couples Negril offers adventure aplenty. 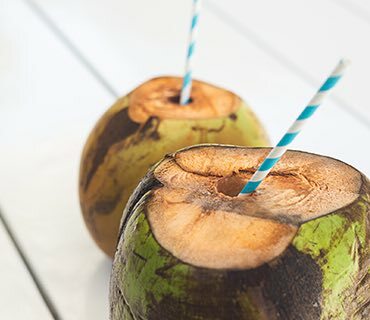 Set sail on a catamaran cruise as the sun goes down, take a glass bottom boat tour or hop on a party bus to Margaritaville, the fun is all around. 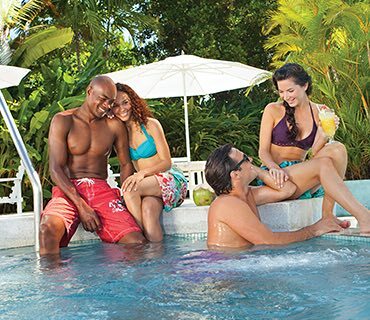 You want your experience at Couples Resort Negril to be as fun as it is romantic. 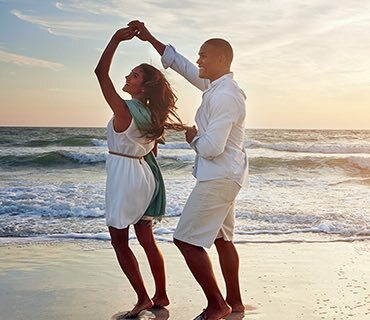 Take the dance class you’ve always wanted, get cozy at our beach bonfire, or bring your A-game to our tennis tournaments. 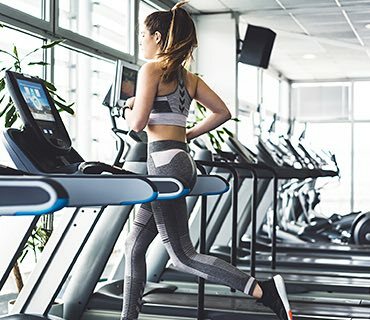 Our state-of-the-art fitness facility features high-tech cardio machines (including treadmills, ellipticals and stationary bicycles) and free weights, as well as a full menu of aerobics, spinning, Pilates, meditation, and yoga classes taught by our team of certified trainers. 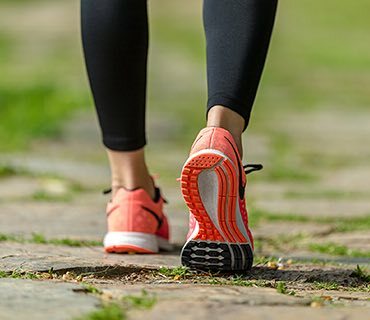 Boost your stamina with kickboxing, a form of martial arts that combines boxing with elements of karate, in particular kicking with bare feet. 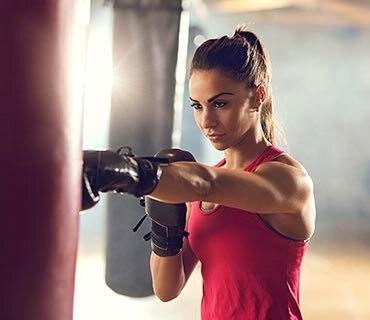 Considered to be one of the more intense forms of exercise, this type of gym training can be taken to the next level by choreographing kickboxing maneuvers to music. For guests seeking to lessen impact on their bones, joints and muscles, Aquacise fitness is for you. Aquatic fitness utilizes buoyancy to take extra stress and pressure away from stresses areas. 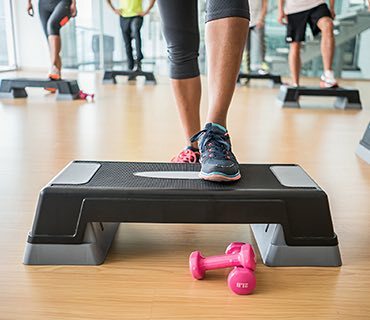 Our class exercises range from basic aerobics to resistance training. 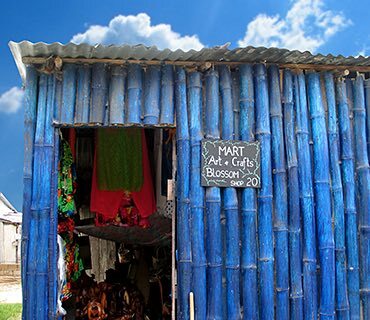 Explore island artistry with a visit to a local craft market where you'll find tie-dye, woodcarvings and block printed fabrics crafted by Jamaicans. Included in the tour is a stop at several duty free shops featuring an array of spirits, perfumes and luxury goods. Guests of Couples Negril enjoy unlimited access to Negril Hills Golf Course, one of Jamaica's premier championship golf courses. 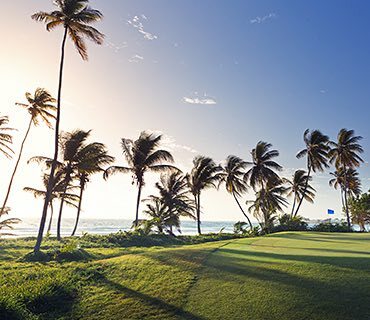 Designed by Robert Simmons, this 6,333 yard-long, par-72 course features elevated tees and Bahamian grass greens, picturesque water hazards and gently undulating fairways for an outstanding Caribbean golf experience. Enjoy the breathtaking beauty of the Caribbean sunset when you climb aboard a catamaran for a complimentary early evening sail, complete with rum punch and swimming off the hull. 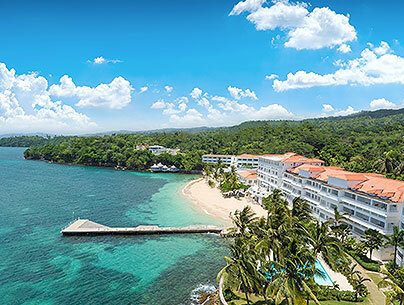 Depart directly from the beach for this sail to Jamaica's West End. Offered Monday, Tuesday, Thursday and Saturday at 4:00 pm. Sign up required 1 day in advance. Founded by singer Jimmy Buffett, Margaritaville in Negril captures the relaxed and friendly spirit of the Caribbean. Enjoy open-air dining, beach activities and island entertainment. Transportation via the Margaritaville Party Bus and entrance fee are complimentary. 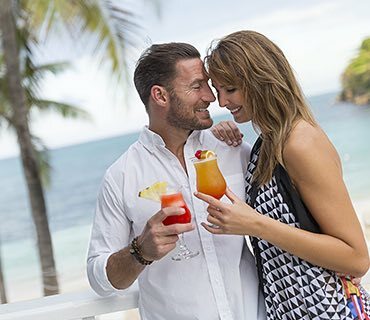 One of our most popular excursions, our daily trip to the Sunset Bar offers an opportunity to sip a cocktail while savoring a brilliant sunset overlooking the cliffs in Negril's West End. Take our complimentary van to this casual dining restaurant serving true Jamaican cuisine, drinks, music and good vibes. Open from 4:00 pm - 10:00 pm daily. Not on property. 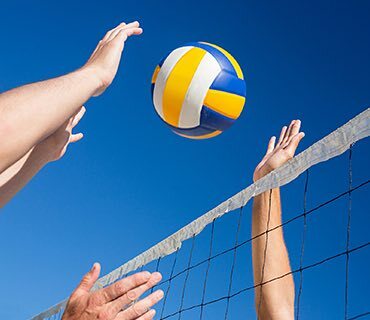 Gather a few of your favorite couples for a competitive beach volleyball game on the main beach. Ask the Front Desk for times of play. 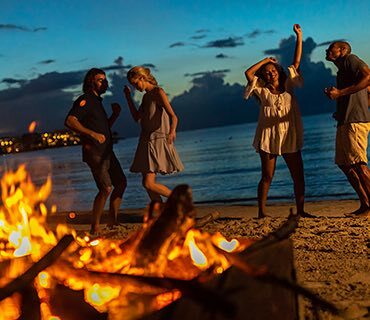 Curl up with a blanket on a lounge chair at our beach bonfire and soak in the smooth sounds of acoustic guitar and melodic love songs every Monday at 10:00 pm. Get a kick out of Karaoke at the resort's Piano Bar. 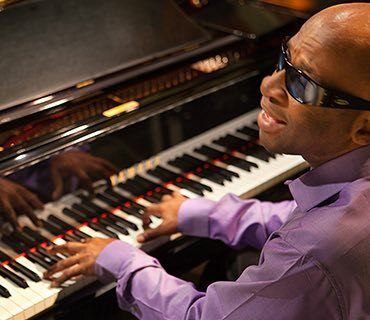 Located near the lobby and Main Pool, the Piano Bar fun starts at 10:00 pm Sunday, Monday, and Friday. Bring out your inner competitor! 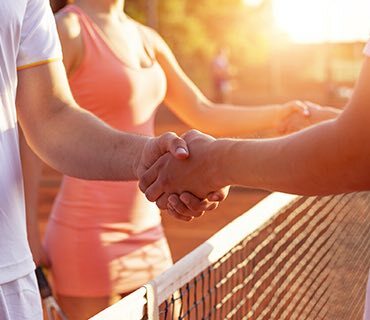 Participate in our Round Robin Tennis Tournaments on Mondays, Thursdays, and Fridays at 5pm and Singles Tennis Tournaments are on Wednesday at 5:00 pm. 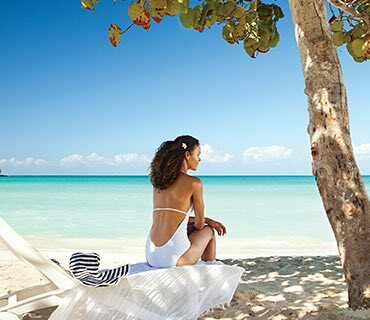 Couples Negril has a small, semi-private beach designated for au naturel sunbathing. Tucked just off the main beach, this camera-free area offers privacy and relaxation. Sunbathe and socialize by one of two swimming pools, including the sun-splashed Main Pool overlooking the beach. For a quieter time, take a dip in the smaller pool by the Treehouse. Soothe away stress in one of the resort's four open-air Jacuzzis. 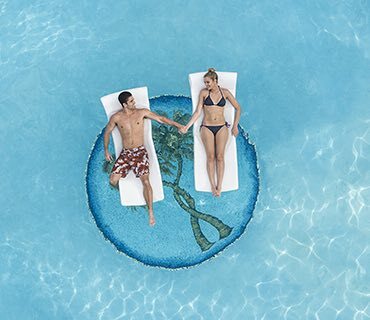 Two whirlpools anchor the ends of the Main Pool while the others are tucked about our 18-acre oceanfront resort. 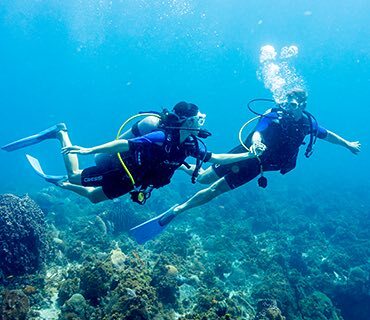 Dive into a world of wonder with our exceptional scuba diving program. Whether you are an experienced diver or just starting out, you'll delight in day and night dives. 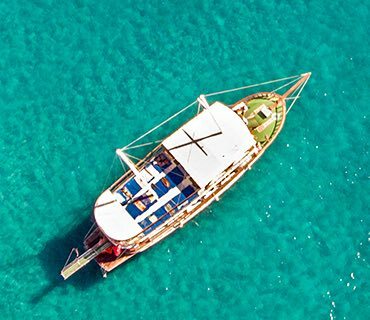 Take a ride aboard our glass bottom boats for a snorkeling tour to one of 30 different snorkel sites showcasing the island's natural coral reefs. Fins, masks and snorkels are all provided. Set sail! For those who've never set foot on a sailboat, beginner lessons are offered by our Watersports Staff. 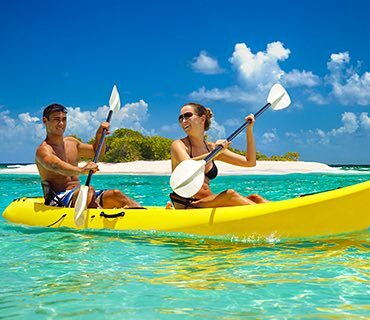 Our fleet of sea kayaks offers optimum speed and grace. 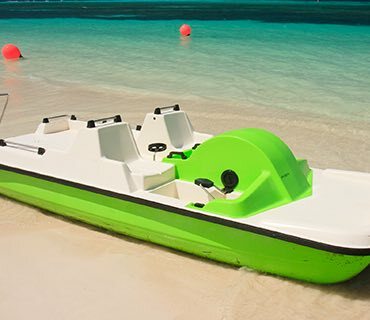 Available as a single or two-person hull, each kayak has a closed-deck design with self-draining scuppers to keep you dry out on the water. Lessons offered 9:00 am - 4:00 pm daily. Our high-powered water ski boats ride smoothly over the waves, pulling guests behind them on two skis, a mono ski or a wakeboard. Expert instruction available. Water skis, wake boards and life vests are included. 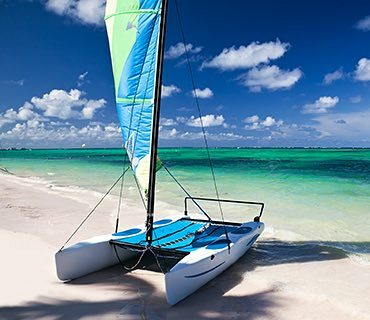 The steady Caribbean breeze creates the perfect conditions for exhilarating windsurfing. 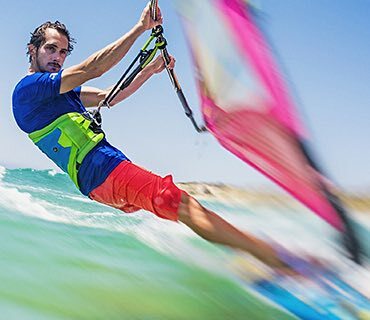 Our state-of-the-art fiberglass windsurfers are perfectly sized so everyone can enjoy the experience. Equipment, life vests and lessons (9:00 am - 4:00 pm) offered daily. Head to the Main Pool for a casual or competitive game of pool volleyball. Create a team with a few of your favorite couples or check with the Front Desk for times and teams. Try this offshoot of surfing in our calm Caribbean waters. If you're a beginner, start by kneeling on the board and using your arms to propel yourself forward, then graduate to standing and using a paddle to navigate.